Week one: Studio Calico Project Life Kit Far Far Away for January. I just signed up for monthly again. Love this kit! The designer is the lady from A Creative Mint (Leslie). Going for a fresh and clean look this year with more white space. Week Two: Studio Calico Far Far Away Kit still, and still loving the soft colors. Added some watercolor stripes I painted onto blank cards to go with this color scheme, easy peasy! The " What will you make of your today" is a free printable from Amy Tangerine. 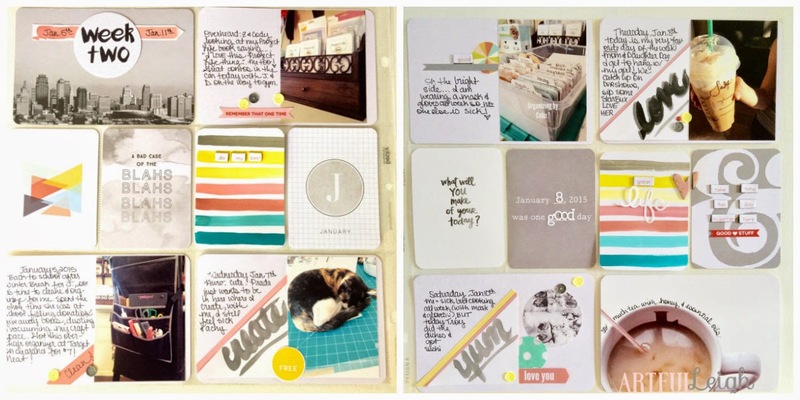 LOVE her website, and she also has a free handbook for jumpstarting your creativity! Week Three: That ballon Card from the Far Far Away Kit, Gah ! So cute. I made it work for me by adding the Studio Calico wood veneer car, and typing with my vintage typewriter. My one little word for this year is ENCOURAGE! Fitbit emailed me this update of my total steps since Aug. 6th, pretty cool, through first week of January. 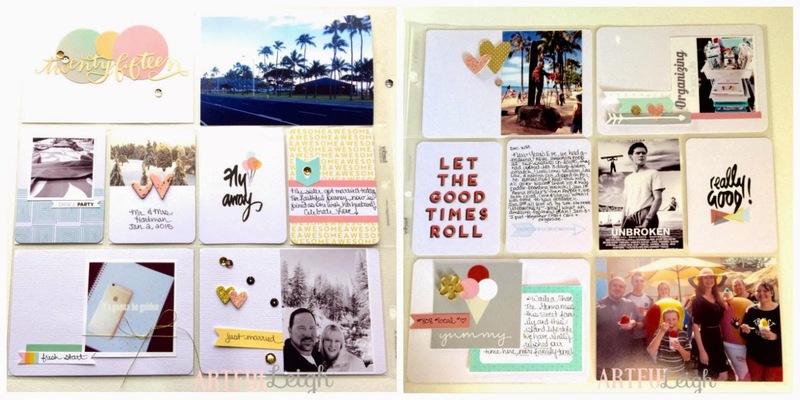 So I encourage you to paper craft some memories today!